“Epilepsy” is a general term for neurological disorders that are characterized by recurrent seizures. In some cases, the seizures are caused by trauma, a toxin, a brain tumor, an infection, or an issue with your dog’s blood, kidneys, or other organs. At other times, the epilepsy is referred to as “idiopathic,” which simply means that there is no identifiable, underlying cause. Seizures commonly fall into two categories: generalized (grand mal) or partial (focal). Generalized seizures commonly appear as involuntary jerking or twitching movements of all four limbs with loss of consciousness. Partial seizures may involve one limb, side of the body, or face. Partial seizures may progress to generalized seizures. Seizures may also result in abnormal behavior, vocalization, salivation, chomping/chewing, and involuntary urination and defecation. The first is called the aural phase and the most common signs are behavioral changes. These changes may be subtle and include restlessness, attention seeking or anxious behavior. The second phase, called the ictal phase, is when the seizure itself takes place. A seizure can last from just a few seconds to several minutes. The final phase is called the postictal phase, which occurs after the seizure. During this phase, your dog may seem restless, incoordinated and/or disoriented. Occasionally, temporary blindness, deafness or other neurologic abnormalities may occur. Your veterinarian will take a complete history and perform a thorough physical and neurological exam to determine if there is an identifiable, underlying cause of your dog’s seizure. Phenobarbital helps reduce the frequency of your dog’s seizures and is the most prescribed medication for dogs with idiopathic epilepsy. It is generally a well-tolerated drug. Potassium bromide is another seizure medication that may be added to your dog’s treatment, if she does not respond well to phenobarbital alone. With these medications, as with all drugs, some patients experience side effects. In order to make sure an adequate dose is being given, and to monitor for side effects, it is important that blood levels of each medication as well as complete blood counts and blood chemistry profiles be monitored periodically. Liver function tests may also be indicated. Your veterinarian will advise what monitoring needs to be done and how often. Medication dosages should not be changed without talking to your veterinarian. Dogs diagnosed with idiopathic epilepsy may require treatment for life, and sometimes more than one drug is needed for adequate seizure control. And while many dogs are well controlled, some are not despite multiple medications. In addition, adequate seizure control does not necessarily guarantee that a dog will be entirely seizure free. The degree of seizure control may need to be balanced against potential side effects of the medications. Put a medical alert tag on your pet’s collar so that if he becomes lost, whoever finds him will be aware of their seizure disorder and need for medication. 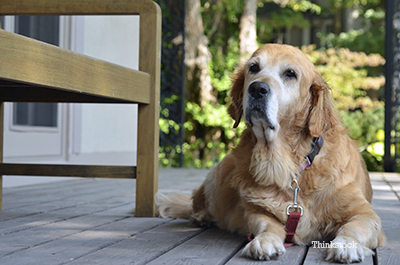 Several treatments are available for pets with epilepsy. By working closely with your veterinarian, you can maximize the chances of controlling the disorder and giving your pet a long, happy, and comfortable life.